Even before construction of the new nanotechnology lab at MIT has been completed, the facility is already yielding unexpected discoveries. Workers digging into the campus near Building 26 unearthed a sealed glass time capsule that had been buried in 1957 by students and their famous MIT professor Harold Edgerton (1903 – 1990), best known for his strobe photography that froze splashing liquid or the impact of bullets and explosions. The flameworked capsule stuffed with paper and scientific samples bears clear instructions not to open until 2957, or 1,000 years from its time of burial. In an official MIT video, director of collections Deborah Douglas talked about what remains enclosed in the sealed capsule. Whether it will be opened or not is unclear from the video. 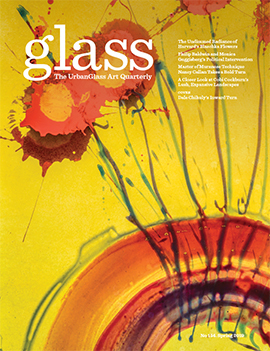 Jump to 2:14 and 3:20 to hear from Peter Houk, head of MIT's Glass Lab, discussing the process of how the stability of glass makes it an ideal material for a time capsule, and how the glass cylinder was probably sealed with two torches.